These are the Gigabyte and ECS H67 mini-ITX motherboard for new generation Intel Sandy Bridge CPU. Combine with HDPLEX Fanless H3 series chassis, equipped with internal MCE IR with remote, it will become a powerfull silent HTPC mini-client. HTPC calibration: find the best settings for HTPC that gives optimal (or at least correct) output to display device. Display calibration: find the best settings for display device that gives best picture quality based on the input from HTPC. To make sure that the input to our display is correct and avoid over-adjust our display. To avoid unnecessary conversion/adjustment. As an example, when feeding 16-235 to 0-255 display, we need to adjust brightness/contrast to get the correct image which is obviously not an optimal solution. The target of HTPC calibration step is to find correct settings for all involved components listed above which gives best possible optimal output to our display device. I’ll first try to explain some theories behind scene and then focus on how to test the “correctness” of output from our HTPC. 1. Luma resampling – Why WTW and BTB is important? BTB and WTW is cut off after luma is expanded. Banding is introduced (as the screenshot below shows). See the above example, the transition from 19-20 is mapped to 3-5. 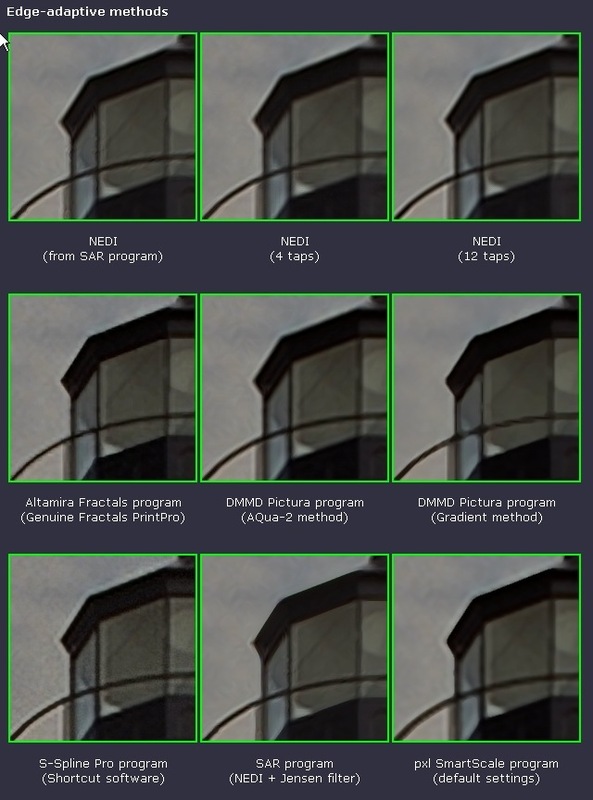 To reduce banding, we have to use a process called “dithering” which generates artificial pixels with luma 4 in between areas where luma is 3 and 5 in our example. Dithering is good in a way it reduces banding, but bad in a way it introduces artificial information which doesn’t exist in the original video. Some graphics card later convert 0-255 back to 16-235 when using HDMI output which potentially causes even more information lost. 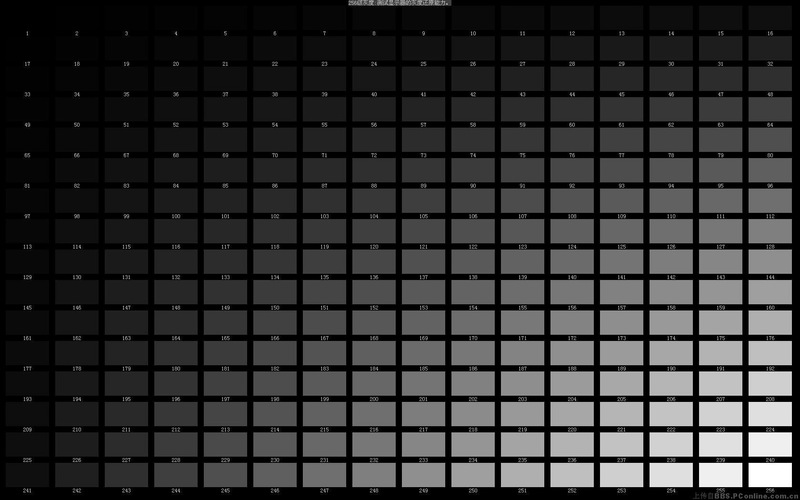 It gives us the baseline when we calibration the brightness and contrast of our display. It shows that the video luma is not cut off/expanded along the video pipeline. Some movies have contents with luma value above 235, and as a result it’s recommended to reserve white up to 240 in order to see them. Avoid luma expansion/compression if possible. It’s perfect that our HTPC outputs 0-255 without expanding luma and our display cuts BTB and WTW. If luma conversion cannot be avoided (most cases), make sure that dithering is enabled to reduce banding. We can use FFDshow with dithering enabled and HQ RGB conversion or MadVR to achieve this. 2. Chroma upsampling – Why more bits is good? 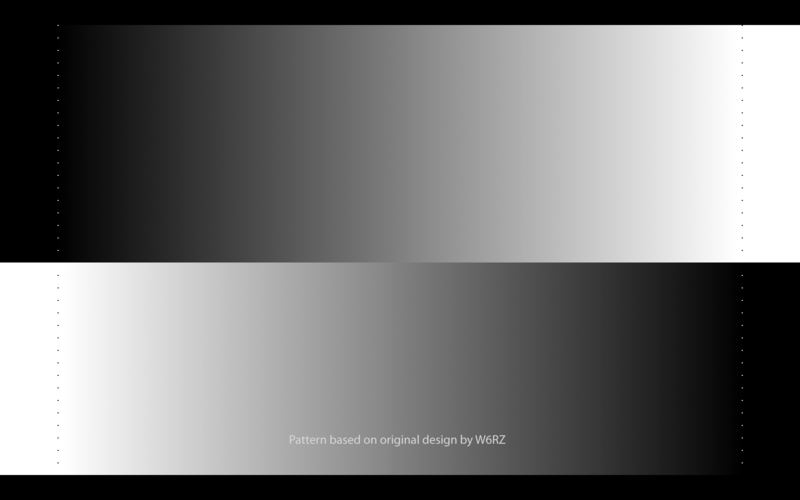 Chroma upsampling applies when converting YUV 4:2:0 to RGB/YUV 4:4:4. More information about how it works can be found here and here. “I’ve seen many comments about HDMI 1.3 DeepColor being useless, about 8bit being enough (since even Blu-Ray is only 8bit to start with), about dithering not being worth the effort etc. Is all of that true? It depends. If a source device (e.g. a Blu-Ray player) decodes the YCbCr source data and then passes it to the TV/projector without any further processing, HDMI 1.3 DeepColor is mostly useless. Not totally, though, because the Blu-Ray data is YCbCr 4:2:0 which HDMI cannot transport (not even HDMI 1.3). We can transport YCbCr 4:2:2 or 4:4:4 via HDMI, so the source device has to upsample the chroma information before it can send the data via HDMI. It can either upsample it in only one direction (then we get 4:2:2) or into both directions (then we get 4:4:4). Now a really good chroma upsampling algorithm outputs a higher bitdepth than what you feed it. So the 8bit source suddenly becomes more than 8bit. Do you still think passing YCbCr in 8bit is good enough? Fortunately even HDMI 1.0 supports sending YCbCr in up to 12bit, as long as you use 4:2:2 and not 4:4:4. So no problem. But here comes the big problem: Most good video processsing algorithms produce a higher bitdepth than you feed them. So if you actually change the luma (brightness) information or if you even convert the YCbCr data to RGB, the original 8bit YCbCr 4:2:0 mutates into a higher bitdepth data stream. Of course we can still transport that via HDMI 1.0-1.2, but we will have to dumb it down to the max HDMI 1.0-1.2 supports. For us HTPC users it’s even worse: The graphics cards do not offer any way for us developers to output untouched YCbCr data. Instead we have to use RGB. Ok, e.g. in ATI’s control panel with some graphics cards and driver versions you can activate YCbCr output, *but* it’s rather obvious that internally the data is converted to RGB first and then later back to YCbCr, which is a usually not a good idea if you care about max image quality. So the only true choice for us HTPC users is to go RGB. But converting YCbCr to RGB increases bitdepth. Not only from 8bit to maybe 9bit or 10bit. Actually YCbCr -> RGB conversion gives us floating point data! And not even HDMI 1.3 can transport that. So we have to convert the data down to some integer bitdepth, e.g. 16bit or 10bit or 8bit. The problem is that doing that means that our precious video data is violated in some way. It loses precision. And that is where dithering comes for rescue. Dithering allows to “simulate” a higher bitdepth than we really have. Using dithering means that we can go down to even 8bit without losing too much precision. However, dithering is not magic, it works by adding noise to the source. So the preserved precision comes at the cost of increased noise. Fortunately thanks to film grain we’re not too sensitive to fine image noise. Furthermore the amount of noise added by dithering is so low that the noise itself is not really visible. But the added precision *is* visible, at least in specific test patterns (see image comparisons above). Well, that is a good question. I can say for sure that in most movies in most scenes dithering will not make any visible difference. However, I believe that in some scenes in some movies there will be a noticeable difference. Test patterns may exaggerate, but they rarely lie. Furthermore, preserving the maximum possible precision of the original source data is for sure a good thing, so there’s not really any good reason to not use dithering. Besides MadVR which provides superb chroma upsampling quality, the YV upchroma shader inside MPC-HC seems to produce a very close and similar result. To use it, we need to feed NV12 (which is a special Nvidia colour space) to MPC-HC from our video decoder and choose EVR as renderer. There are also several resizing/scaling algorithms that we can choose from different renderers, examples are bicubic in EVR or VMR9 and nearest neighbor in overlay and VMR7. In general, bicubic provides better quality than other scaling algorithms which gives an advantage of using EVR renderer over VMR/overlay renderer. 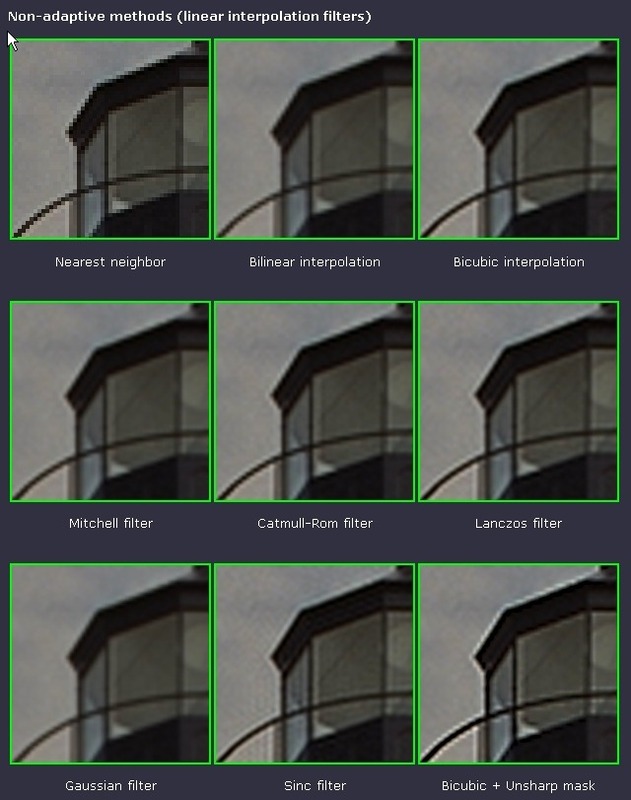 Since EVR, Halli and MadVR provide superior scaling algorithm, I would suggest to use these renderers instead of others. If for some reason we have to stick with overlay or VMR, we should consider to use FFDShow to do scaling instead. 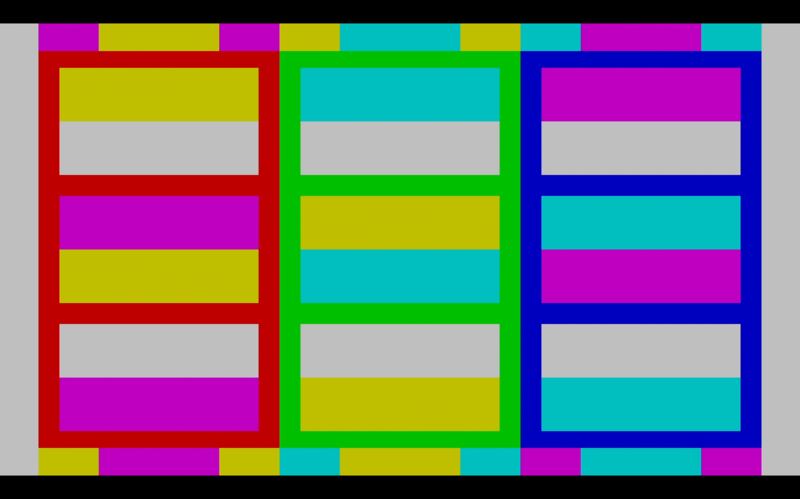 De-interlacing is the process of converting interlaced video, such as common analog television signals or 1080i format HDTV signals, into a non-interlaced form. More information about it can be found here. I don’t have much knowledge in this area, and the ATI hardware de-interlacing satisfies my requirements. 5. Smooth 24P playback – How to avoid judder? We can choose either 23HZ or 24HZ refresh rate in graphics card. When our TV or projector receives 24P signal, it normally either does 5:5 pulldown(display each frame 5 times) or creatively generate intermediate frames(generate 4 frame between every 2 frames). Personally I prefer creative frame generation which is available in my Panasonic projector, but nevertheless, both options should give us smooth playback (comparing to 3:2 pulldown). The test videos can be downloaded here. 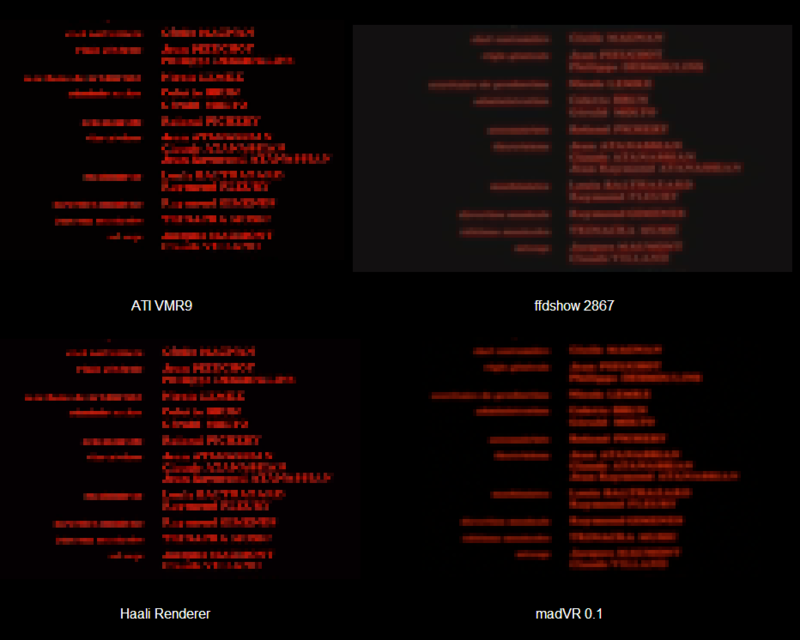 We probably need both mp4 video files and blu-ray versions because they normally use different video pipelines. I normally check files first then check blu-ray (PowerDVD) to make sure levels and colours are consistent in both pipelines. Blu-ray test discs such as DVE HD Basics can also be used for this purpose (and we get colour filters also). It’s important that we undo all brightness, contrast and colour adjustments made to display device and use the most accurate picture mode available on the display device. Tests 1-4 are correctness tests while 5-7 are more like quality checks which can be skipped based on our requirements. For example, if we always play 1080P on 1080P display, there is no need to check resizing quality. The purpose of the test is to find the optimal configuration of our HTPC (by spotting obvious video problems), and it is never intended to be 100% accurate after this step. We will still need to calibrate our display device later. For 1080P display device, it is important to make sure we obtain 1:1 pixel mapping from our HTPC output. We can use the single pixel patterns available in section B2 or C (see screenshots below) from “Misc Patterns” to check if any of our device resizes the image. If we don’t get 1:1 pixel mapping we need to check the resolution and overscan/underscan settings of our graphics card and display device. 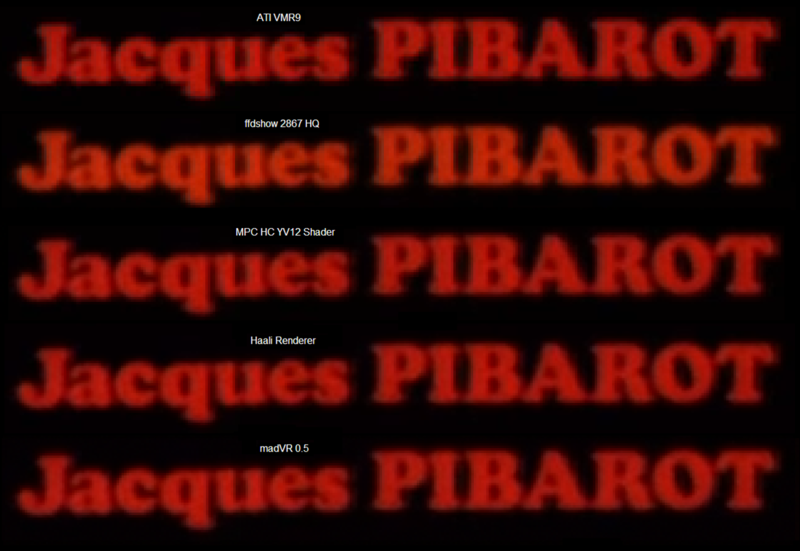 Test pattern 5 (see screenshot below) in “Basic Settings” can be used to detect overscan. 1 0-255 0-255 No OK Video expanded to 0-255. 2 0-255 16-235 Yes Washed Video is not expanded. 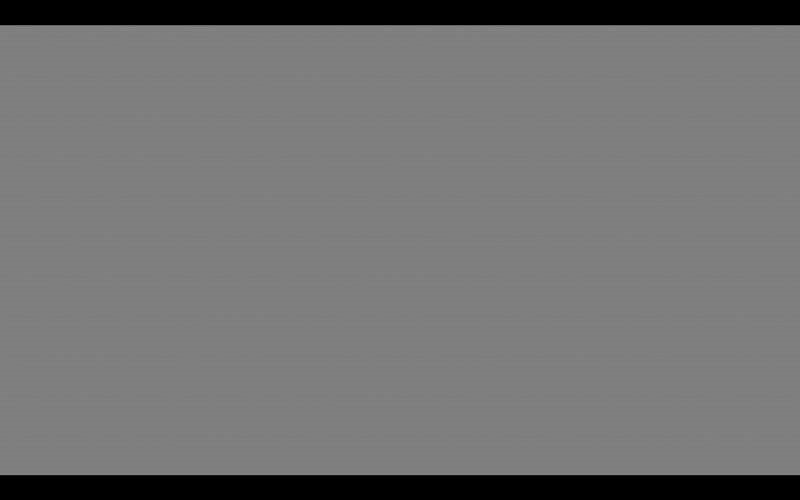 3 16-235 16-235 No OK Video is expanded to 0-255 RGB first than everything is compressed to YCbCr. 4 16-235 2X-22X Yes Washed Video range is not expanded to 0-255 before compression. 5 16-235 16-235 Yes OK Desktop is compressed to YCbCr while video is output directly in YCbCr colour space without modification which preserves BTB and WTW. ATI HDMI adaptor never cuts BTB/WTW, instead it only does compression when necessary. Desktop can never be more compressed than video range. It gives washed black/white when video is not expanded to 0-255. Case 5 is the best because it gives untouched luma range without banding while at the same time preserves BTB/WTW. Case 1 and 3 gives correct result but without BTB/WTW. For case 1 we need to configure our display to accept 0-255 input. Some users including me never get 0-255 output for desktop no matter what pixel format is chosen. In this most important step we need to make sure the luma output from our HTPC is correct and the levels we get for desktop and videos are consistent (case 1, 3 or 5). 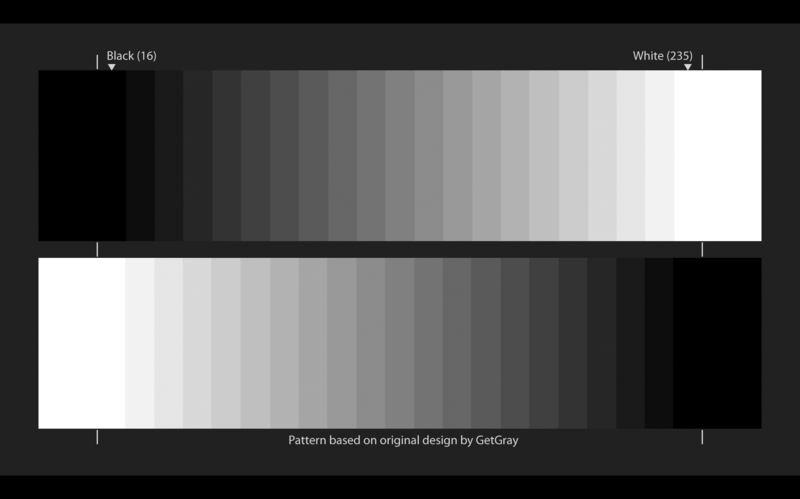 For this purpose we use “Grayscale Ramp” and/or “Grayscale Steps” patterns in section A of “Misc Patterns” (see screenshots below). Input range selector of display device. 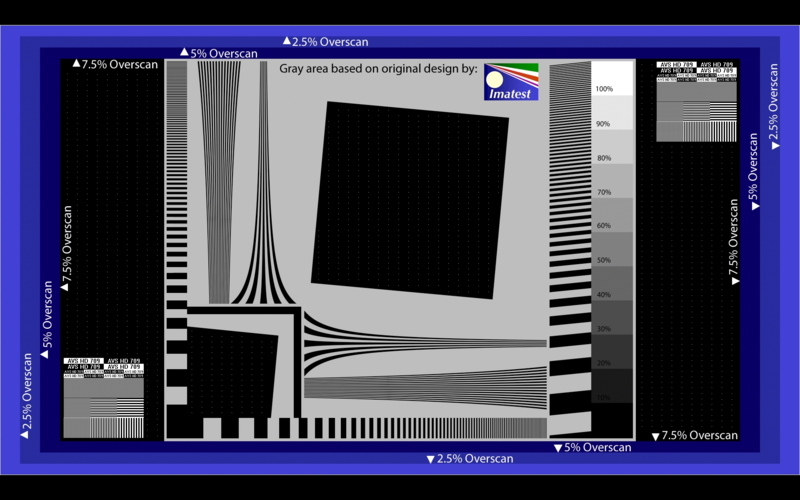 We can use the same “Grayscale Ramp” video to check if banding is introduced by the video pipeline. The following images shows the result with banding (left) and the result without banding (right). Banding is normally introduced due to luma conversion, and it can be solved either by 1) eliminating luma conversion or 2) introducing dithering to luma conversion. Sadly to say that in most cases we have to go for (and live with) the latter option. We know that MadVR applies dithering automatically when expanding YV12 to RGB while FFDShow requires dithering being manually enabled, to my knowledge both solutions work fine. This step is to check colour conversion between RGB and YCbCr is carried out correctly. For historic reasons, SD and HD follows different conversion algorithms: ITU-R BT.709 for HD and ITU-R BT.601 for SD. If we sometimes play SD stuff, we probably also need to run colour test with ITU-R BT.601 encoded test patterns. To test correctness of primary colours (red, green and blue), we need to either use colour filters or wave monitor for input signal on display device. Test pattern “Flashing Primary Colours” from A4 in “Misc Patterns” is used in this test scenario(see screenshot below), and the idea is to look through the colour filters and make sure that we don’t see anything flashing. In practice we may still notice flashing even though the colour output from our HTPC is correct, and that is because our display device is not calibrated yet. 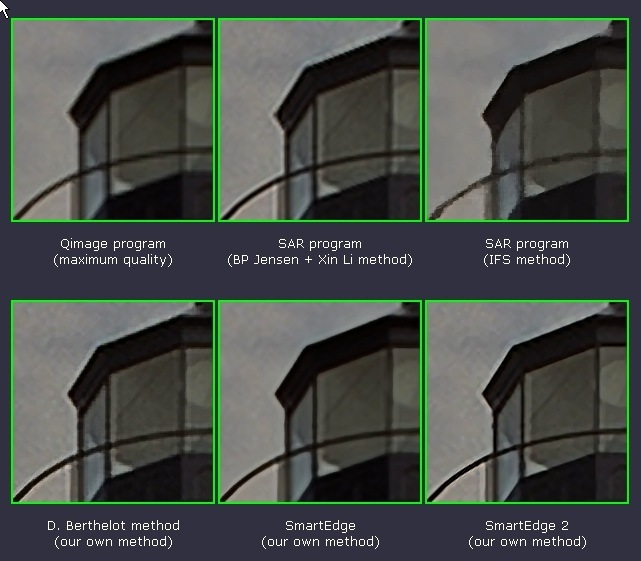 To check resizing quality, we can upscale a SD video to 1080P and observe if the result is acceptable. Different resizing algorithms give different results as discussed in theory part, and I think it’s really a personal taste which algorithm to prefer. Normally resizing/scaling are controlled by renderers, and for some renderers such as MadVR or EVR CP provide configuration options so that we can choose the algorithm we prefer. If the renderer we’re using is not configurable, we can consider to use a decoder like FFDShow which supports resizing/scaling and gives us configuration options. Tearing and judder are two different issues, but they can be both tested with a video that contains a lot of camera shifts. Players like MPC-HC even provides build-in test pattern for tearing which we can use for the same purpose. If we see constant tearing in video playback, we need to check if Windows Aero is enabled(don’t laugh, Aero do remove tearing). Playing video in D3D full screen mode (with vertical sync on) can also solve this problem if it’s supported by the player. Judder on the other hand is often cause by 1)mismatch of refresh rate and video FPS or 2) dual screen setup. It is always a good idea to use the right refresh rate for videos in different FPS. For example, with my display being able to accept 24P, 50P and 60P signal, I choose 23.976HZ (23HZ in CCC) when I play 24P, 50HZ when I play 25P, and 59.94HZ(59HZ in CCC) when I play 30P or 30i, and all these materials give me smooth playback without any noticeable judder. In general, we get smooth playback when we set refresh rate to be multiple times of FPS. In case that we can’t find a suitable refresh rate for a certain FPS, we should consider to use ReClock to slow down or speed up the FPS. In HD world, video processing is normally more expensive and time consuming than audio processing, which as a result can make them out of sync, and we call this lip-sync problem. To check lip-sync we can play a movie with a lot of conversational content, and watch and listen carefully to see if lip movement is out of sync with voice. Small different between video and audio can be easily adjusted by audio delay in our AVR or HTPC, but if the difference is more than 0.5 second, we should probably check configuration of audio/video decoder and CPU/GPU usage. 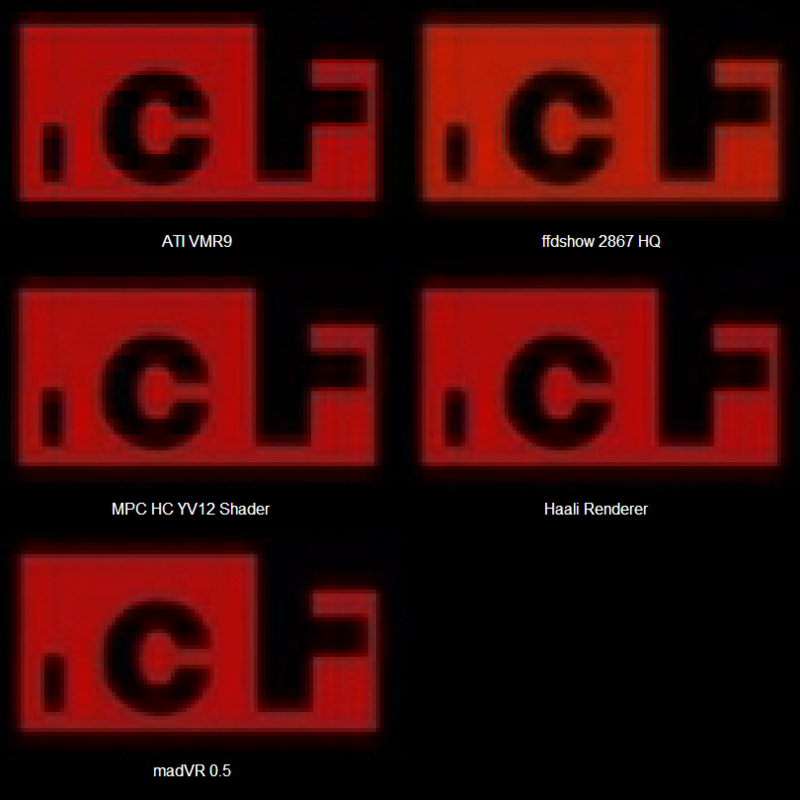 FFDShow+MadVR: Among all available renderers, MadVR produces best chroma upsampling and scaling quality. To use this renderer, we need a player that supports it (like MPC-HC) and a software video decoder (MadVR doesn’t support DXVA yet). In FFDShow we need to choose only YV12 output and enable subtitle if we need that. The drawbacks of this combination are 1) we will not get BTB and WTW out of it; 2)it consumes a lot of CPU (FFDShow) and GPU (MadVR) resource; 3) it is not commonly supported. FFDShow(HQ YV12 to RGB conversion+Dithering)+EVR: FFDShow itself can also provide high quality RGB output if we enable High quality YV12 to RGB conversion and Dithering options. 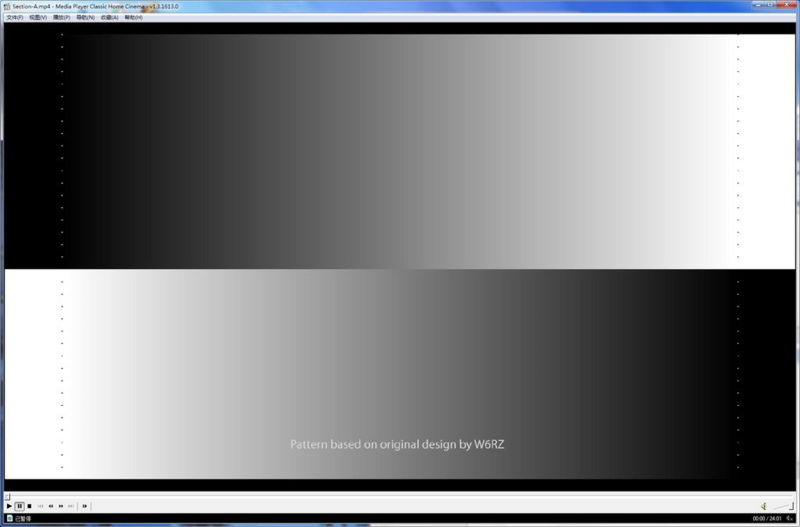 HQ YV12 to RGB conversion uses 11 bits pipeline and dithering removes banding from the final result. The scaling of FFDShow can also be configured which provides very similar result to MadVR. We’re able to use this combination in most players and media centres, but it still won’t give us BTB and WTW. FFDShow(YV12 output)+Overlay: My old ATI HD4850 using this combination which gives me untouched YCbCr output with BTB/WTW, and the quality is the same as protected path used in PowerDVD disk mode (case 5 in the previous table). No banding is introduced which suggests no luma conversion throughout the pipeline, also resizing works extremely well which was a big surprise to me. This combination is definitely my first choice, however I can’t get this to work with my HD5770 graphic card, therefore I only recommend it to HD4XXX users. ASUS and ASROCK will both work with HDPLEX silent and fanless H3 series chassis. They will be the perfect motherboard for mini-client HTPC build. This MSI H67 mini-ITX for Intel Sandy bridge does not have 24PIn ATX plug on the side, so it would be a perfect fit for the HDPLEX fanless H5 and H10 series case. Sandy bridge based CPU will debut next Jan. I think they will be perfect for silent fanless HTPC build especially the 35W TDP core i3 and 45W TDP core i5. Here is the latest release date for Intel Sandy bridge CPU and price. Intel H67 mini-ITX motherboard. The HDPLEX H3 chassis has been redesigned to fit mini-ITX board which 24PIN ATX plug is on the side. So this Intel H67 mini-ITX board will work with HDPLEX H3 series fanless computer case.